Electronics Costs > How Much Does LoJack Cost? How Much Does LoJack Cost? LoJack, a trademark name for a radio transmitter technology system, is a device that helps owners track and recover their vehicle if it were to be stolen or lost. In order for LoJack to work, a transceiver is installed in the vehicle, and each device is placed in an unknown position that varies from vehicle to vehicle. This ensures that the someone will not be able to find the device and remove it. When a vehicle is stolen, the owner can simply call the police and they will be able to track it from there. LoJack claims to have recovered over 300,000 vehicles since it was introduced to the market a couple of decades ago. LoJack started out as a tracking and recovery device for vehicles, but they have since begun to use similar devices in other ways. For instance, a Lojack device can be placed on expensive electronics or even a person with Alzheimer’s, for example, to prevent them from getting lost. The price of Lojack would depend on the type of vehicle that you have since the device is designed differently depending on the reason for its use. Since Lojack is primarily used for cars, they offer different packages for car owners such as packages designed for trucks, classic cars, taxis, commercial equipment and more. For instance, if you have a classic or collectible vehicle, the price for the LoJack can range from $695 to $700. For newer model vehicles, the company offers a stolen vehicle recovery system package which starts at $700. If you want a total protection package, according to our research, will cost about $1,000 as a one-time fee. This total protection would include the silent transmitter installed in your vehicle, an early warning signal if your car was moved without your permission and an extended warranty that guarantees your LoJack investment for five more additional years outside of the standard two-year warranty. Research, according to LoJack, shows a laptop turns out missing every 50 seconds. The reason that laptops are stolen so often is that they are lightweight and compact and therefore very easy to take. LoJack has introduced a system that can locate the laptop and its location history. This service can cost $40 or so per year. Motorcycles are also considered to be stolen at an alarming rate due to the fact that they are open vehicles that can be towed fairly easily. The price of this product depends on the location and the dealer and the price for it can range anywhere from $400 to $900 for a one-time fee. This Edmunds article says the one-time fee is about $695 or $995 with the early warning feature. However, like most dealer prices, the prices presented to you can be negotiable. Once purchased, it will be installed inside the vehicle and the vehicle identification number and the car’s description will be registered in the National Crime Information Center database. This can either be done as a stand-alone option or done at the dealership when you purchase your car. If a theft report were to be sent to the police, the police will make a routine entry into the database from time to time, essentially activating the LoJack system. If the police car were three to five miles from the vehicle reported stolen, then the police will be alerted with a description and the exact location. A two-year limited warranty is included, and if the vehicle isn’t recovered within 24 hours, then LoJack will offer a refund up to the MSRP. If a product or car is ever stolen, all the customer will have to do is contact the Lojack offices. After contact has been made, they will be able to contact the police and will be able to pinpoint the exact car’s location using their GPS technology. LoJack also offers an extended warranty which will extend the standard two-year 24-hour money back guarantee. You can also get Lojack’s five-year guarantee plus. This guarantees that if a vehicle is not recovered within 30 days after it is reported stolen or is totaled due to theft, LoJack will pay $2,500 each to the dealer and the customer. Once your car has been found by Lojack, you will need the aid of the police to recover the vehicle. In some areas, there may be a service fee for the police to perform this since it is not an emergency. LoJack isn’t available everywhere. Check the official locator on their website to see if it’s available in your area. At the moment, it’s only available in 26 states. If you were to sell or trade in your car, the LoJack system won’t transfer to a new vehicle. To save money, Lojack will sometimes offer their products at a reduced rate if you order directly from them. They can take off as much as $100 from the original price of the product. 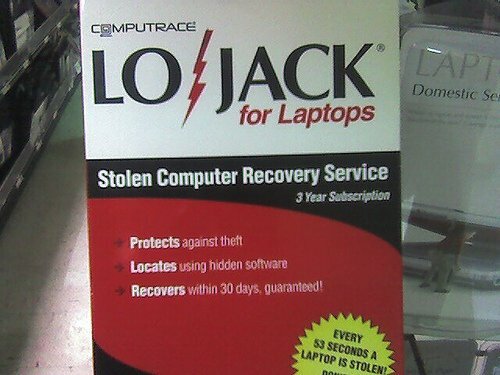 Lojack is a name brand of a company that was one of the first in the industry. However, there are many other companies that offer a similar service such as Zoombak, Mobile IQ and most car manufacturers offer its own version. Lojack is the most common name, it may be more expensive than the lesser known companies. These other companies may not offer as much or have as high success rates, so make sure you do your research before deciding. Automotive News says the cost of LoJack to the dealers is about $200 to $250, leaving quite the room to haggle. Don’t settle on the price they offer as most will be happy to lower the price.